BOGOR, Indonesia, May 7 (Xinhua) -- China is willing to build on the good momentum of the comprehensive strategic partnership with Indonesia and jointly achieve greater development, visiting Chinese Premier Li Keqiang said here on Monday. While meeting with Indonesian President Joko Widodo in the presidential palace in Bogor, West Java, Li said that China and Indonesia are important neighbors and natural cooperative partners with common interests. The two heads of state have held several successful meetings and promoted the political mutual trust and pragmatic cooperation to reach a new level, Li said. Both as major developing countries and important states in the region, China and Indonesia working hand in hand to seek common development is of strategic importance for not only the two countries and two peoples, but also for the region and the whole world at large, Li added. 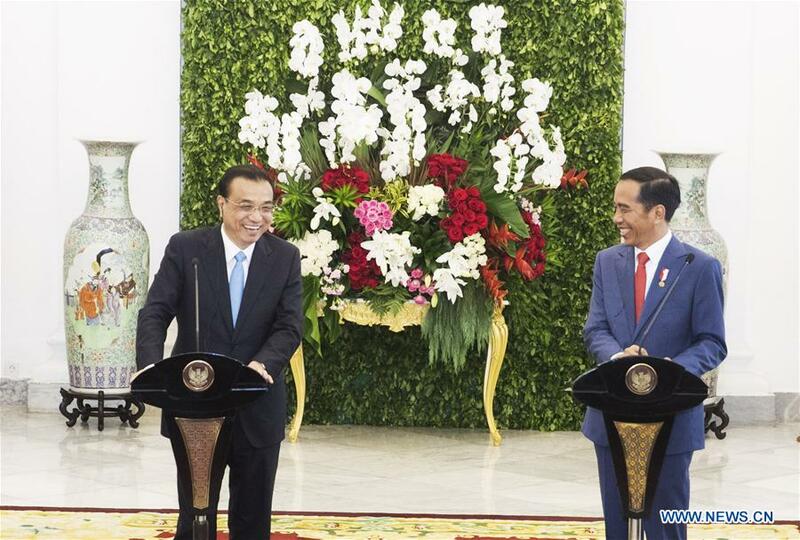 For his part, Widodo welcomed Li's visit to Indonesia, the first stop on the Chinese premier's first overseas trip since the new cabinet took office in March. Li's visit comes as this year marks the 5th anniversary of the establishment of the China-Indonesia comprehensive strategic partnership. The visit shows that China highly values its relations with Indonesia, Widodo said. The bilateral cooperation conforms to the interests of the two countries and two peoples and is of great significance to the global peace and development, Widodo added. The two sides also exchanged views on international and regional issues of mutual concerns.